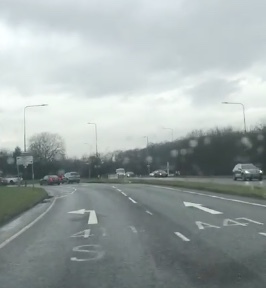 A FEW months ago, the three lane approach from Church Langley Way onto the A414 was changed from three lanes to two. The change was challenged by a large number of Church Langley residents led by local Conservative councillor Simon Carter. Last weekend, the two lanes were changed back to two. The decision has been warmly welcomed by cllr Carter. He said: “I welcome this decision that has been agreed upon in a mature way that mutually benefits everybody.